A well manicured lawn sets the tone as you drive up to Capistrano Condominiums, located on 30A at Seacrest Beach in South Walton, Florida, and offering 30 rentals facing the Gulf of Mexico. Each of its 30 units offer striking Gulf views from your private balcony, whether watching the tide or experiencing stunning skyscapes. A limitation to 30 units removes the hustle and bustle of traffic commonly found at larger resorts and allows for the natural sounds of the Gulf to soothe your spirit. Each day, awaken to the sound of surf and seagulls. Let the sunshine and pleasant Gulf breezes refresh you. As you plan your itinerary for the day, encourage the kids to enjoy some Frisbee fun on the front grassy green space. Take a five minute drive and explore Rosemary Beach, where you’ll find unique shops featuring classic and trending designs, hip street food vendors, restaurants featuring International gourmet cuisine and weekend open air markets. Get in on the creative vibe at Rosemary Beach by visiting a local shop where you can choose from a variety of oils and scents to concoct your own special fragrances. The store will even arrange it so you can reorder your signature scent after you return home. Enjoying the view? Grab a hot dog from a local cart while sitting outside people watching or continue shopping for such delights as imported coffee and teas or artisan cheeses. In the evening, wear that newly purchased shop find to one of the many charming restaurants. Before you head back to the resort, don’t forget to visit the bicycle shop. You’ll want to rent bicycles for the bike trail on 30A, which runs along all of the Gulf towns. This is a great way to enjoy the scenery while discovering new and interesting places to seek out on another day. The bike trails are well-marked and have set a modest speed limit with safety in mind. The diverse landscape allows for trails ranging from easy flat courses to more challenging rides. Back at Capistrano, kick off your shoes and take the boardwalk down to play on the beach in that white, sugary sand and make a splash in the sparkling emerald green Gulf waters. On the weekend, after you’ve spent time working on that tan, return to Rosemary Beach and explore the open air markets for more shopping fun. On weekends, visit the West Indies Market and peruse handcrafted jewelry, paintings and other crafts; or check out the 30A Farmers Market, open every Sunday and Thursday to pick up some homemade food, vegetables, baked goods, handmade crafts or freshly caught shrimp. Are you a fan of the 1998 movie, “The Truman Show”?, well head ten minutes west of the resort to Seaside Beach, where parts of the movie were filmed. In 1981, Robert Davis designed Seaside Beach as a planned community. His inspiration was to create “The Dream of a Simple, Beautiful Life.” Here you’ll find aesthetically pleasing homes featuring wide porches, inviting neighbors to gather and socialize as they did when the world was a less hectic place. After soaking in all that history, send the kids to the beach for a surfing class and while the rest of the family is taking that sandcastle building class, slip off to the local spa and unwind. Unique, classic, eclectic and trendsetting beaches, restaurants, shops and adventures are only a five or ten minute drive from Capistrano where you, your family, your organization or club will enjoy the perfect setting for a dream Gulf vacation getaway. 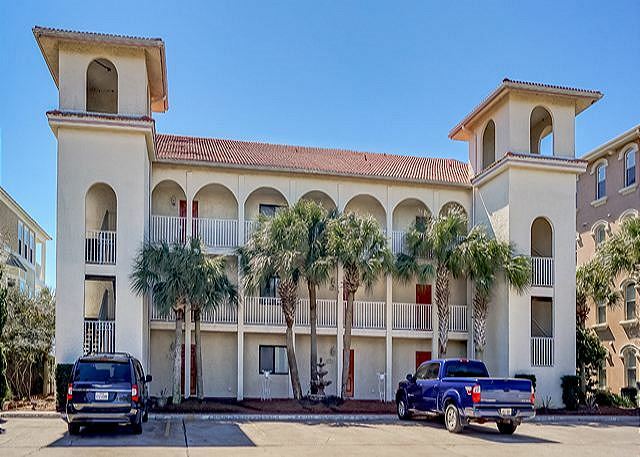 If you’re looking for other 30A condos, check us out here.